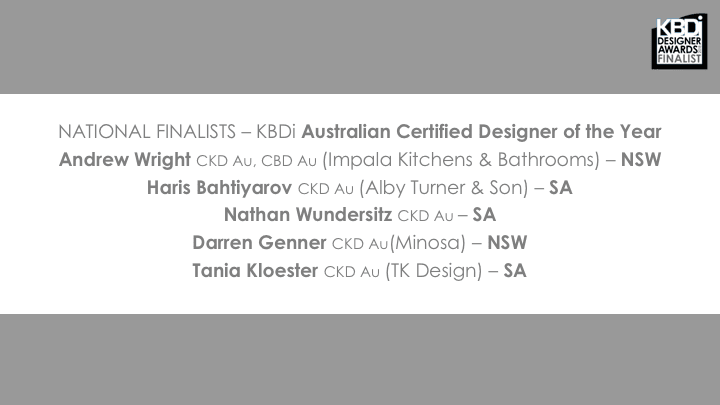 CONGRATULATIONS to the following Designers, who have been nominated as FINALISTS in the KBDi Designer Awards program of 2018. 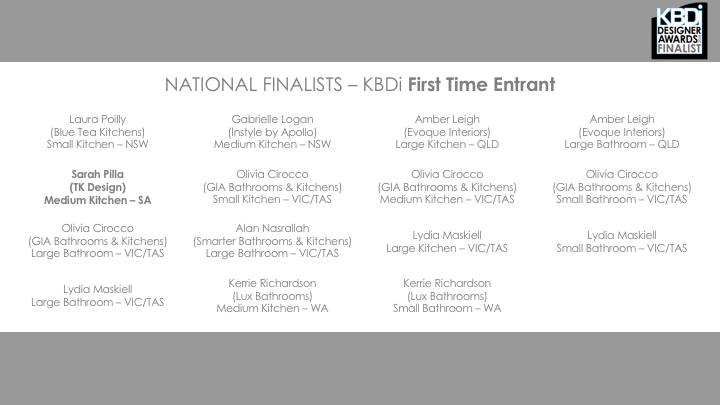 We wish you luck with your entry, and look forward to celebrating at the KBDi Designer Awards Gala on the Gold Coast in June. 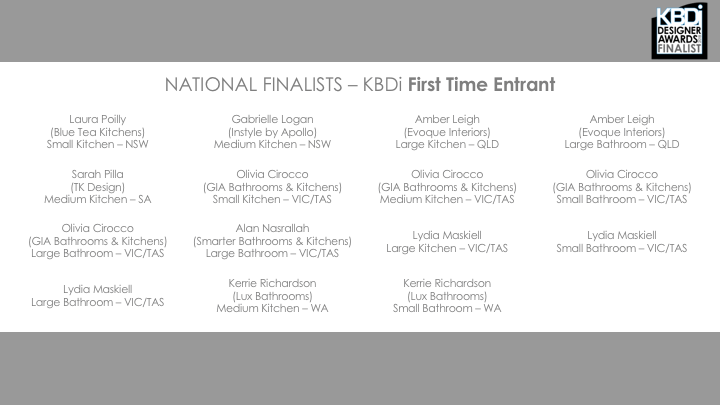 KBDi would also like to take this opportunity to thank ALL entrants of this year’s Awards. If you didn’t make it through to the next round of judging, you should not be disheartened: the line between making the grade or otherwise is often wafer thin, and even the best designs will sometimes miss out, if only by a whisker. 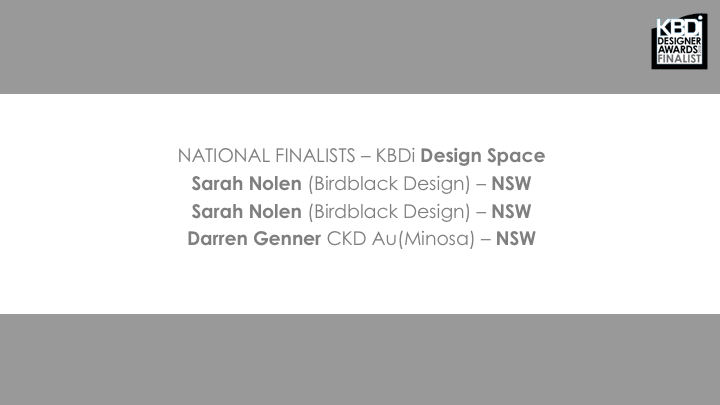 Your commitment to your profession in going through the process of entering the Awards program is in itself commendable, and we hope to see you back here in 2019! Huge thanks to the Sponsors of the KBDi Designer Awards 2018. Your support and contributions are much appreciated!